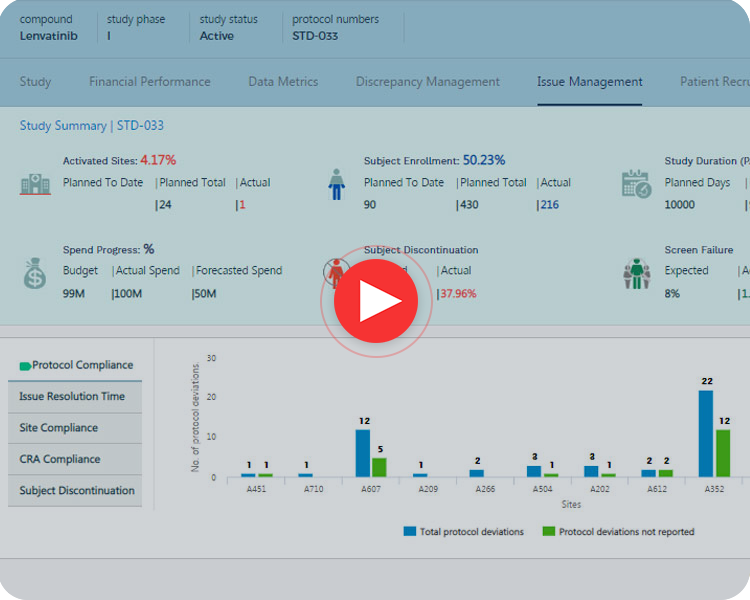 What it does: Saama's Life Science Analytics Cloud (LSAC) delivers cleansed, aggregated operational and clinical data for more cost-effective management of pre- and post-approval studies. Life Science Analytics Cloud provides clinical data management and analytics for biostatistics and operations. 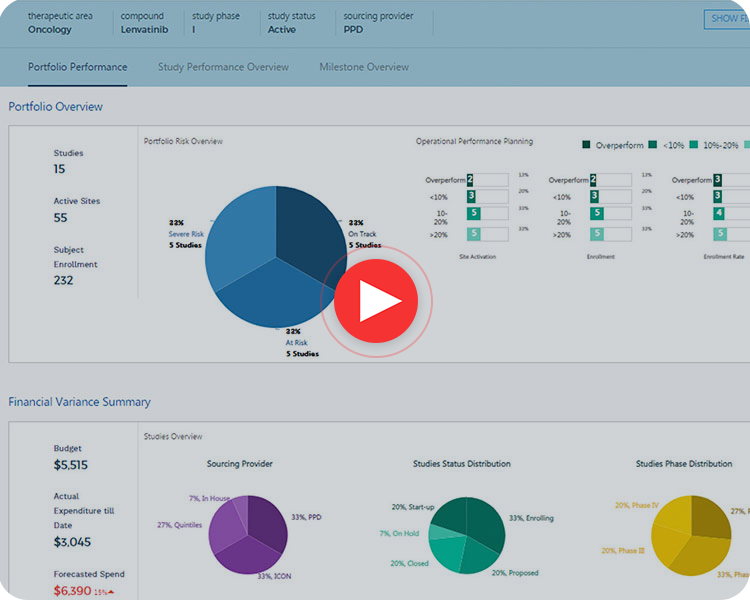 How it does it: LSAC’s data engine normalizes disparate sources of data from a variety of systems across your enterprise such as CTMS, EDC, financial, and many more, to give you a persona-based, holistic view of your studies. Dynamic user experience (ability to zoom in and out) enables the user to spend less time wrangling data while gaining instant access to actionable insights. What you get: With LSAC, you can assess operational and financial risks across all studies to evaluate performance based on key metrics and flag potential risks that would impede the study. 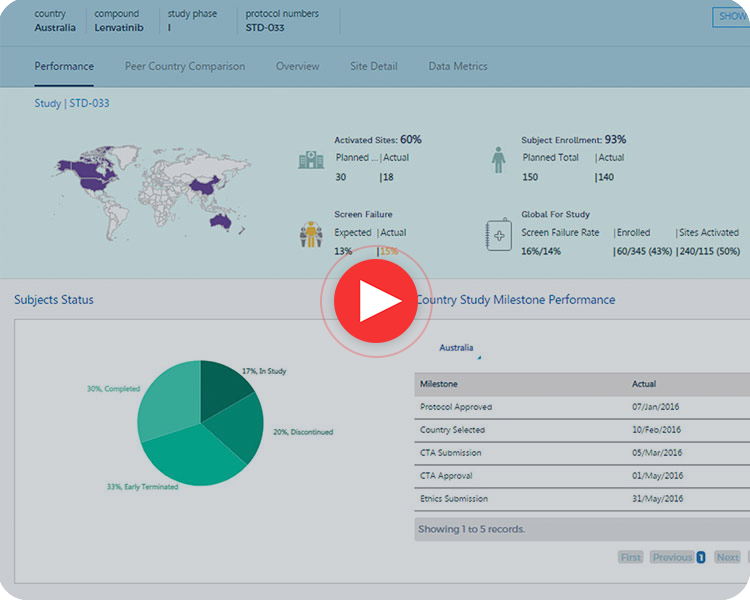 Life Science Analytics Cloud allows you to keep track of and monitor one study or an entire portfolio of studies for the development and commercial evidence generation. KPIs tracking ensures that any deviation from expected operational or financial business objectives are flagged so that you can take immediate remedial action. Tailored to your business, your regional, country, or study leaders can manage the studies within their control - all from data that represents a single version of the truth. See if your sites are meeting their expected performance targets such as patient enrollment. Ensures data represents the single source of truth, minimizing errors and delivering faster and more accurate insights.